Spinit Casino is a young, fun and energetic gambling site which is based in Malta and operates all over the world. The gambling site is a relatively new site having been formed only a year ago in 2016. The fact is, the majority of new online casinos don’t make it past the one-year mark, but it seems like this operator is defying the odds as it’s currently doing pretty well in the market. The team behind Spinit is also running a second gambling site called Casino Cruise. The site is flat and very colourful in design, mainly making use of bold and bright primary colours red and yellow. After clicking through the site, one can conclude that it is well-organised and straightforward to navigate making for a seamless gaming experience. The operator is regulated and licensed by both the UK Gambling Commission and the Malta Gaming Authority. Players don’t need to worry about making a transaction at Spinit Casino, as the operator uses SSL connections for all information exchanges and payments are PCI compliant to make sure that sensitive data is kept safe at all times. 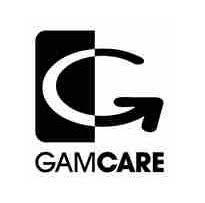 Moreover, the operator is regularly verified by the Gaming Authority making it a safe place for all money transactions. In addition to this, all gaming outcomes are certified random and therefore fair by eCOGRA. With mobile gaming on the rise, Spinit Casino offers an excellent mobile service that delivers the same great experience you get on desktop in the palm of your hand. The casino’s mobile app is fast and easy to use allowing for a seamless mobile gaming experience. The site supports multiple languages including English, German, Finnish, Swedish and Norwegian. Unfortunately, there are several countries which are restricted from accessing the casino and playing its games for real money. These are Denmark, France, French Guiana, American Samoa, French Polynesia, French Southern Territories, French Southern and Antarctic Territories, Guam, Hungary, Iraq, Israel, Portugal, Romania, South Africa, Spain, Turkey, U.S. Minor Outlying Islands, U.S. Miscellaneous Pacific Islands, U.S. Virgin Islands and the United States. With more than 1,200 casino games at your disposal, there’s definitely something for everyone at Spinit. And just to keep things funky fresh, the casino updates its games catalogue every month with brand new titles from leading software providers such as NetEnt, NYX Interactive, Microgaming, Play’N Go, Quick Spin, Evolution Gaming and Lucky Streak. Knowing that these are the premier casino software providers for the world’s major online casinos, the progressive jackpots on these networks are enormous and could change your life. The casino has a wide variety of games including jackpot games, video slots, several variations of table games like Roulette, Blackjack, Baccarat, Cyber Stud Poker and Punto Banco. For a less virtual casino experience and more live player and dealer interaction, players have access to a live casino at Spinit with games like Auto-Roulette VIP, Double Ball Roulette, European Roulette, French Roulette and Immersive Roulette. The live casino is powered by Evolution Gaming. Players will find the best and latest big slots from the providers mentioned above like Starburst, Jurassic World, Wins of Fortune, Viking Runecraft, Candy Dreams, Aztec Warrior Princess and La Rouge. Gamblers can also choose to play classic three-reel machines like Wheel of Fortune, Double Diamond and Quick Hit, as well as large progressives like Fruit Bonanza, Bell of Fortune, Mega Moolah, Tunzamunni, Major Millions, King Cashalot and Hall of Gods all of which have jackpots worth millions. All their games can be played in instant play mode, which means there’s no need to download any large bits of software onto your favourite devices. Players also have the option to play Spinit Casino games for free without even needing to sign up. This is a great feature that allows players to test out the casino and its games without having to commit themselves to the operator. One of the benefits of Spinit Casino is the wide choice of payment methods available to players. Gamblers can make deposit and withdrawals via different bank cards such as VISA and Mastercard, as well as several ewallets and prepaid cards like Trustly, Entercash, Zimpler, Euteller, Skrill, Neteller, Ecopayz, Giropay and Paysafecard. The casino’s banking section is also pretty straightforward to provide gamblers with a banking experience that’s as smooth, effective and convenient as possible. The minimum deposit amount is 10 credits, and the withdrawal amount is also 10 credits. The maximum is 5,000 credits. Players will rejoice at the fact that Spinit Casino offers speedy payouts. The operator promises that punters’ winnings will hit their bank accounts within 24 hours, no matter which payment method you decide. Besides that, customers have a selection of about 20 different currencies which they can choose from. There’s always something going on at Spinit Casino. There are different fun promotions every Monday, Wednesday and Friday. For example, punters can claim a match bonus of 50% up to $100 and 20 free spins every Friday. On Mondays, returning customers can boost their balance with a 25% (up to $100) reload bonus, and there are more free spins and reload bonuses offered on Wednesday’s Game of the Week. All players have to do is register at the gambling site for more exclusive offers such as even more free spins and bonuses. I don’t know about you, but Spinit Casino is undoubtedly ticking all of our boxes. A wide selection of games combined with an abundance of payment methods at players’ disposal makes it an online casino worth visiting. On top of it all, players can sleep soundly at night knowing that their transaction data is in safe hands as security is definitely not an issue at this casino. What have you got to lose? 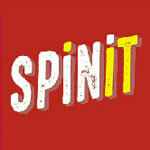 Get spinning at Spinit!